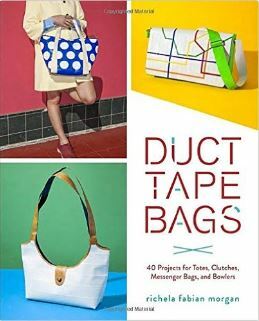 Duct Tape Queen Richela Fabian Morgan is the author of the best-selling Duct Tape Series Books: Tape It & Make It, Tape It & Make More, Tape It & Wear It and her newly released book, Duct Tape Bags. 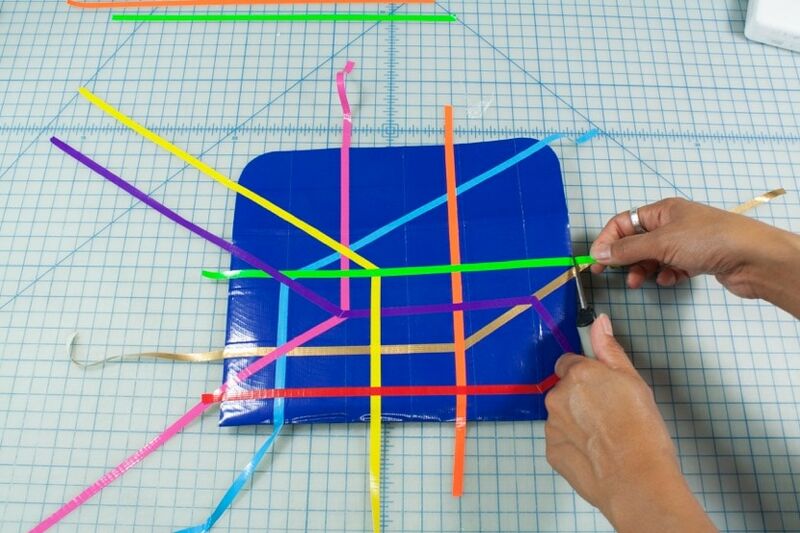 How awesome are her DIY duct tape crafts and projects?!? 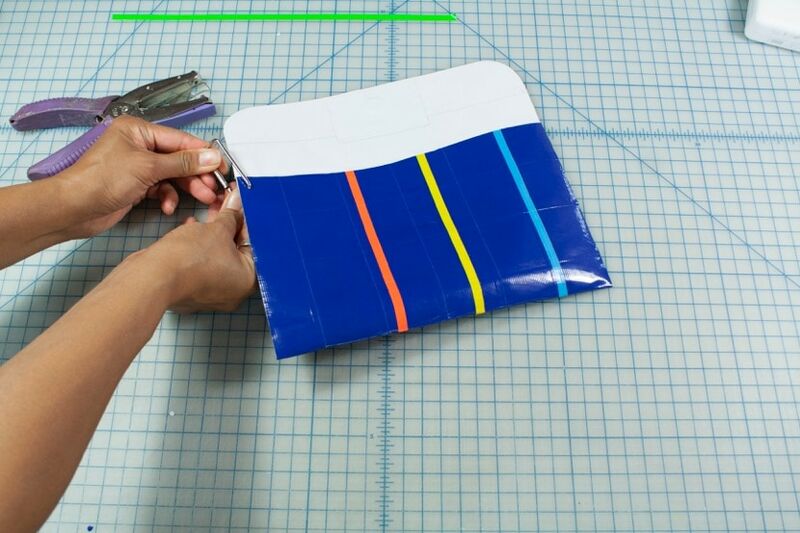 We were thrilled with Fabian Morgan shared three of her easy duct tape crafts projects with us. 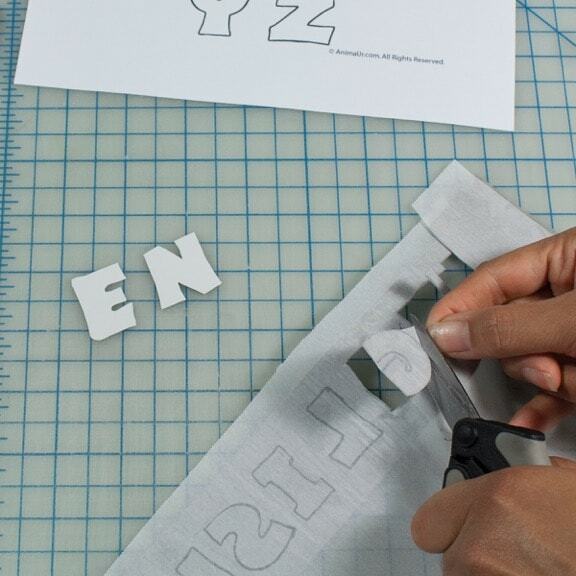 These DIY crafts are so easy, your kids, tweens and teenagers could likely do them on their own. 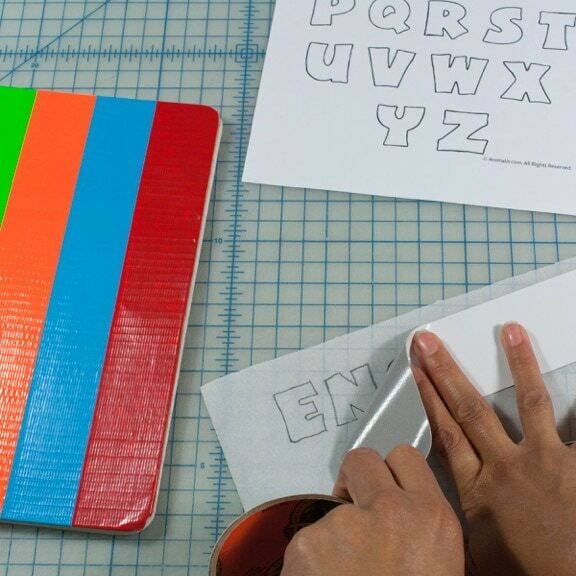 As an adult, you might want to have fun with these easy DIY duct tape projects, too. 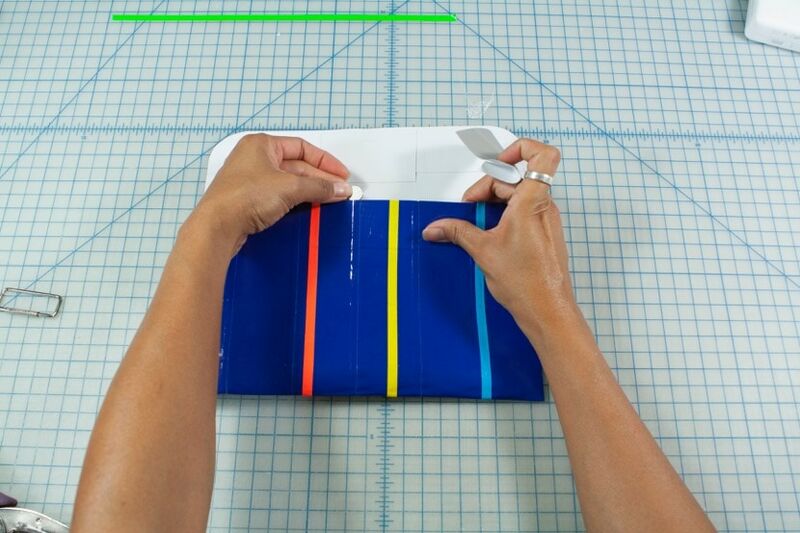 (We’re totally loving her new book – Duct Tape Bags – which shows how to make fashion accessories out of duct tape!) See more of her duct tape projects at www.RichelaFabianMorgan.com. 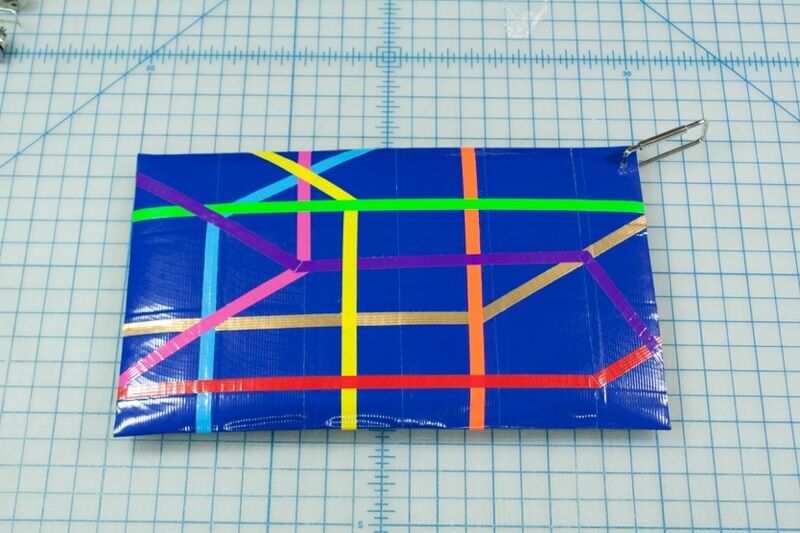 These DIY duct tape projects, which are perfect for Back to School, include: Duct Tape Notebook or Binder Decoration; Duct Tape Pencil Case; and a Duct Tape Cell Phone Case. 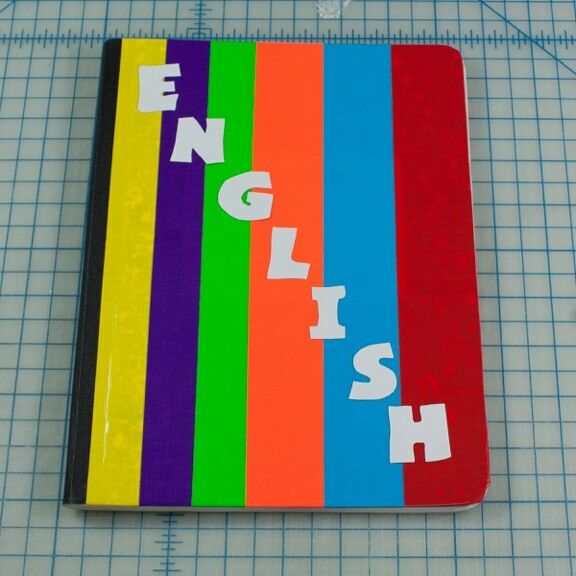 So grab some colorful duct tape, have some fun, and show off your personalized duct tape creations. Thanks to Richela Fabian Morgan for the detailed photos! 3. 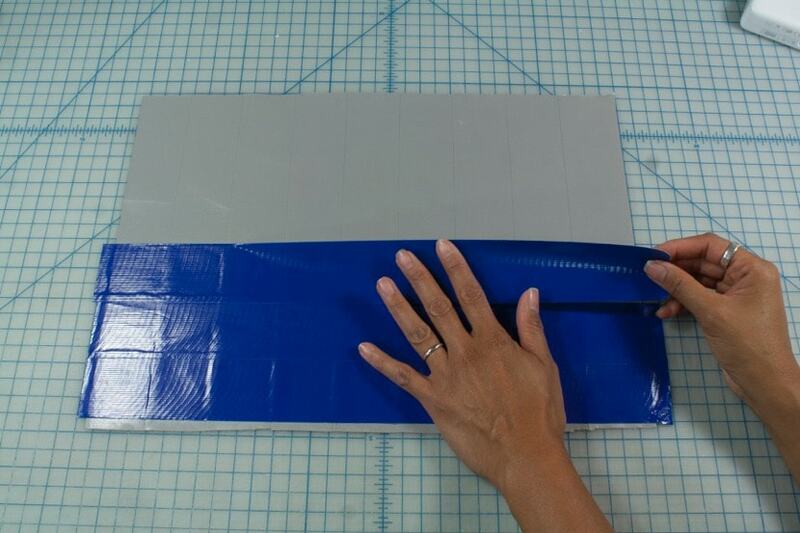 Cut two strips of 6″ white duct tape. 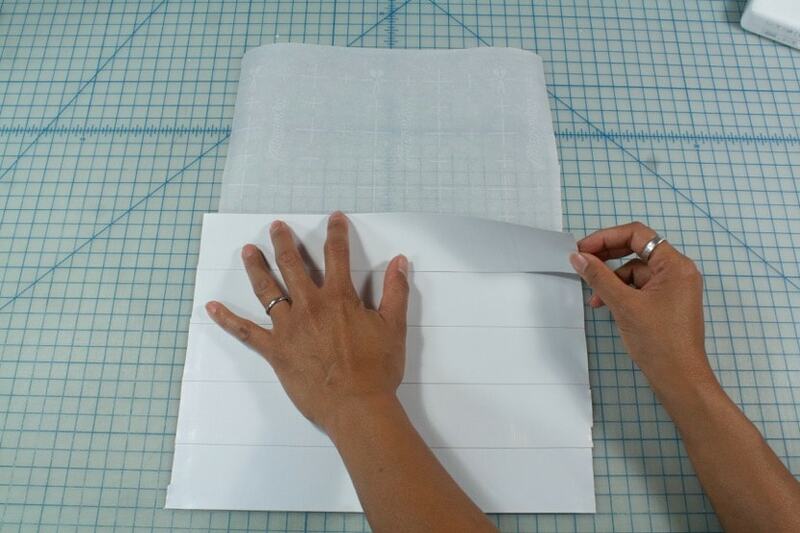 Measure and mark 6″ from the bottom left and right corners of the fabric. 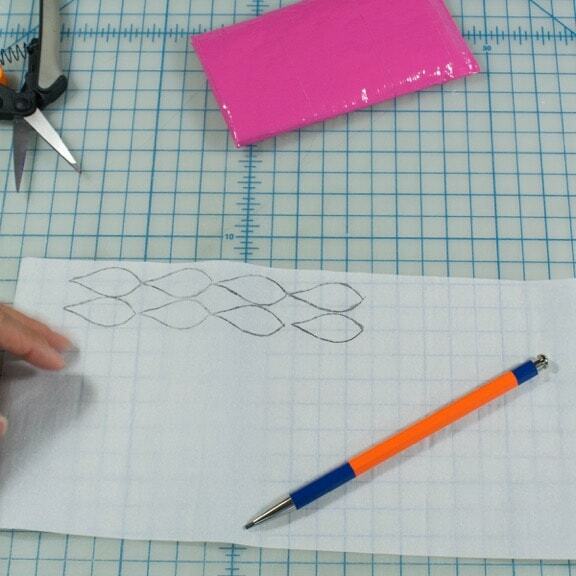 Starting at the two marks, vertically place each strip along the left and right edges. 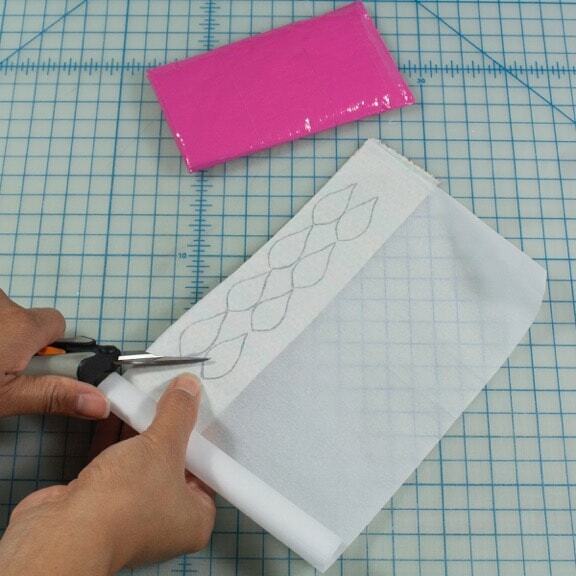 Be sure the strips are halfway on the fabric. 6. 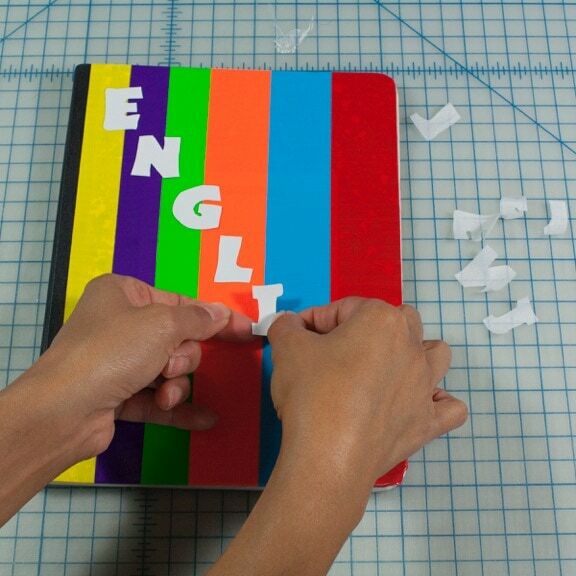 Cut 12″ strips of various colored tape. 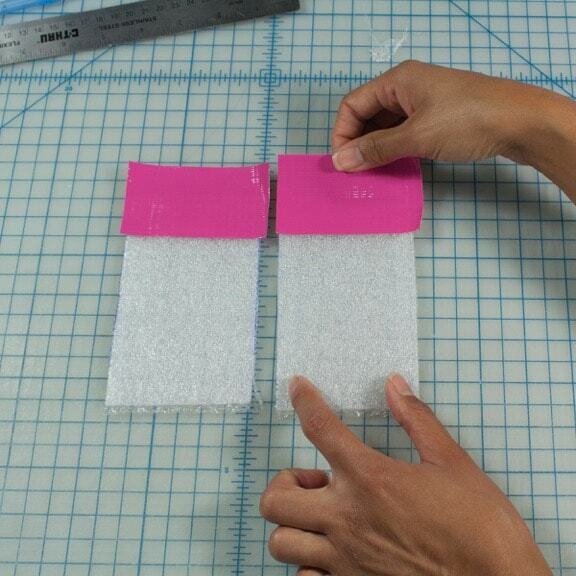 Trim the width of each trip to 1/4″. 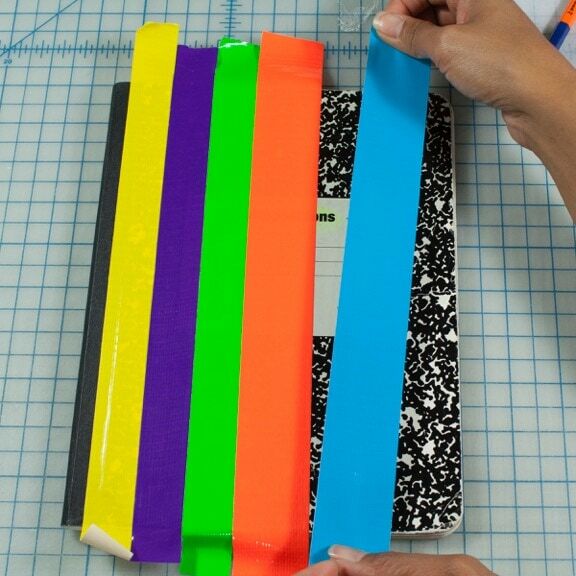 Use these strips to decorate the front of the pencil case. 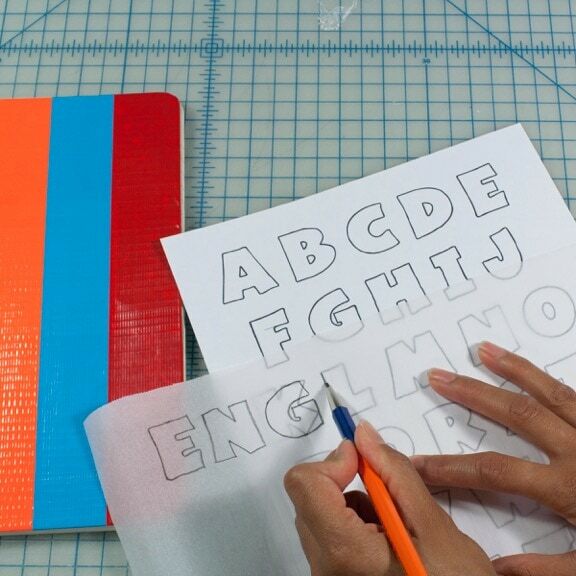 Trim edges of strips that extend past the edges of the pencil case. 7. Flip bag over so the opening is face up. 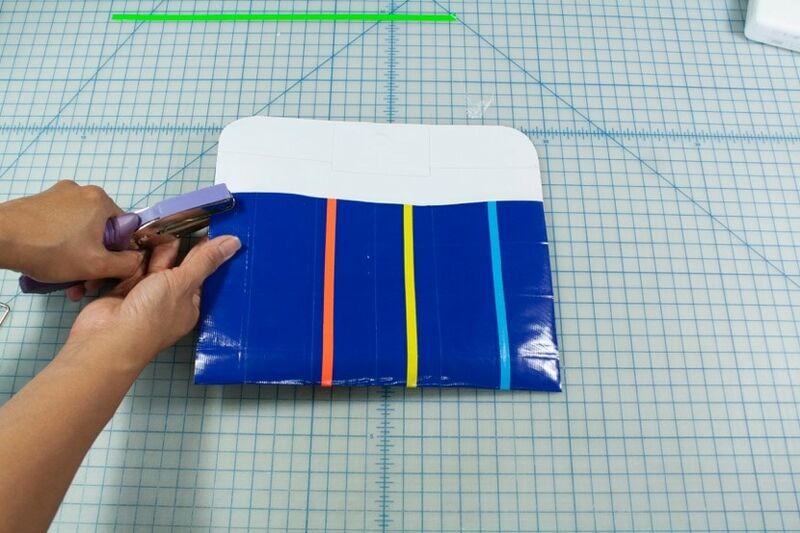 Place a magnet on the inside of the flap, centered and approximately 1/2″ from the top edge. 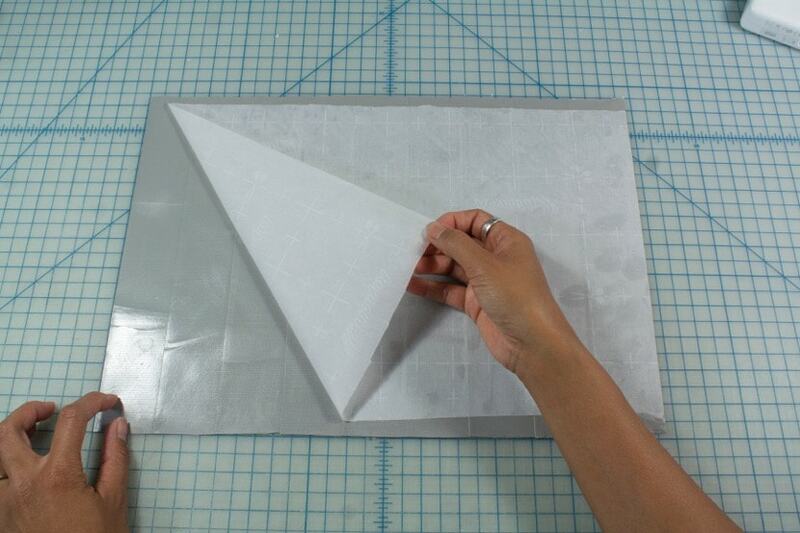 Cover with a piece of white duct tape. 8. 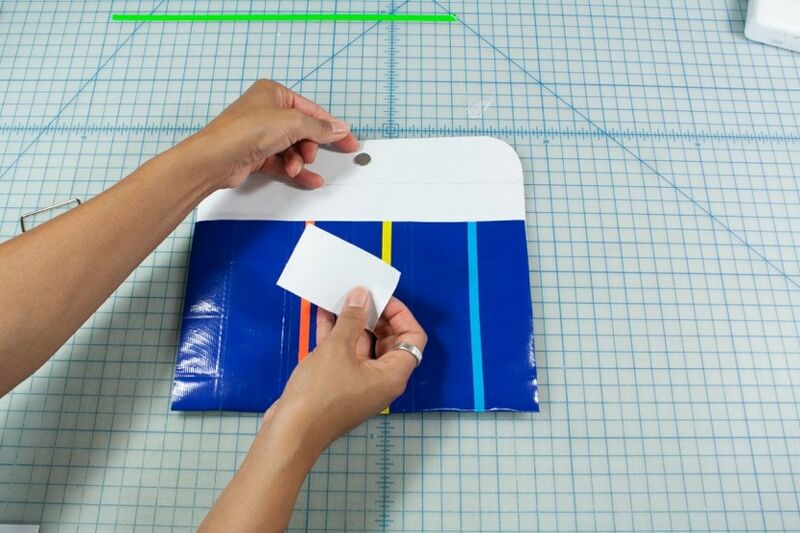 Place a magnet inside the pocket, centered and approximately 1/2″ from the bottom edge. 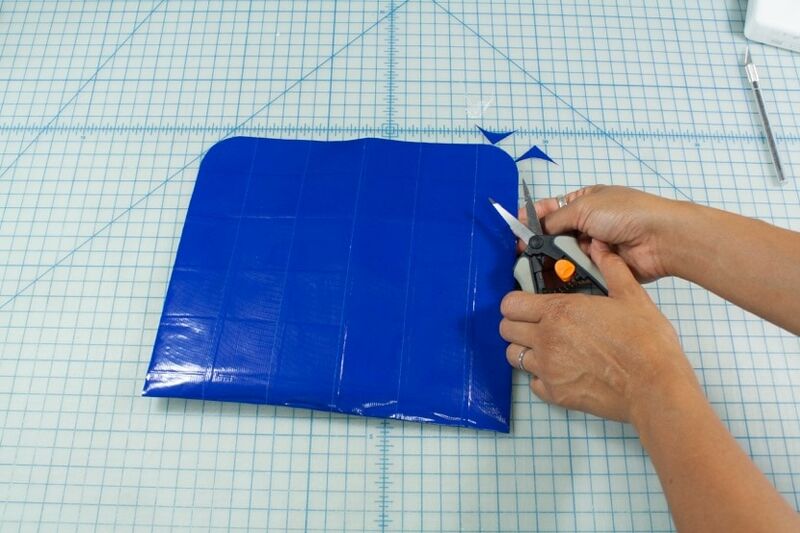 Push it agains the top fabric of the pocket and cover from the inside with a piece of white duct tape. 1. 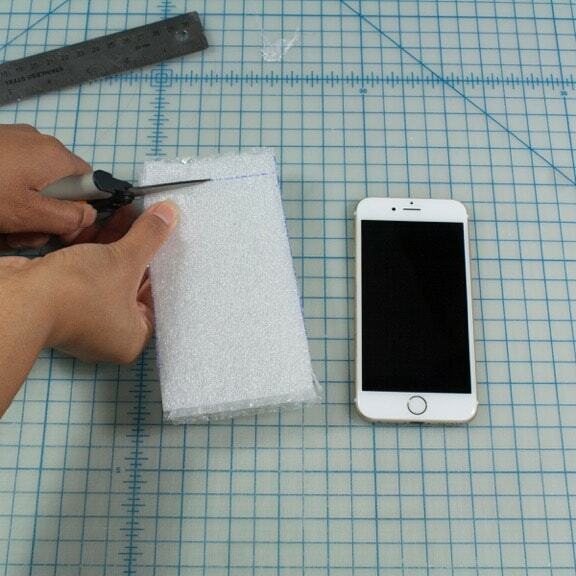 Cut 2 rectangles from the bubble wrap that are 1/2 wider than your phone. 2. 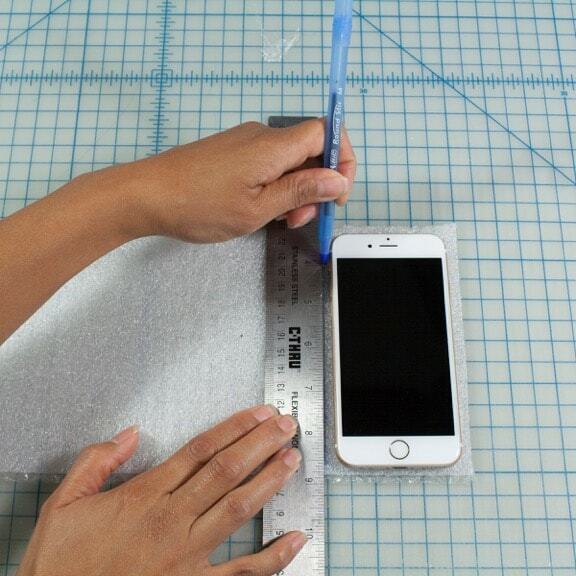 Trim down the height of the bubble wrap rectangles to 1″ shorter than height of your cell phone. 4. 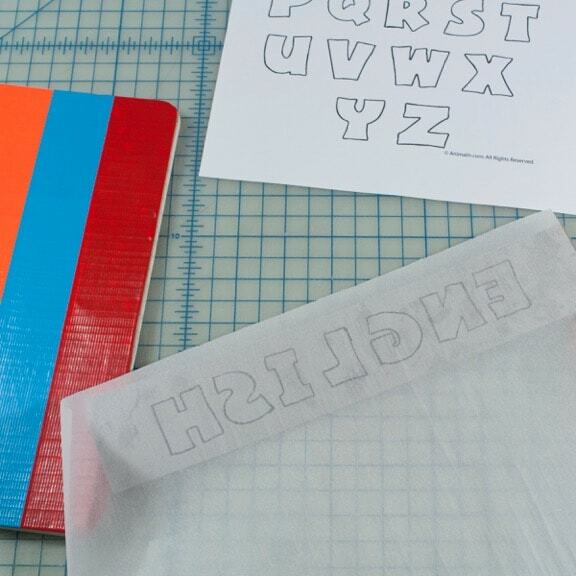 Place one rectangle on top of the other and line up the edges. 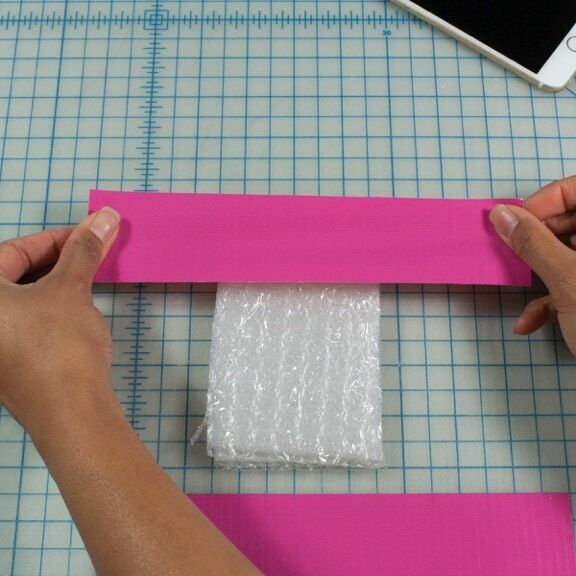 Starting from the top edge, horizontally place 10″ strips of fuchsia duct tape on the bubble wrap rectangles, overlapping the strips along the long edges by approximately 1/8″. Flip over the bubble wrap rectangles. 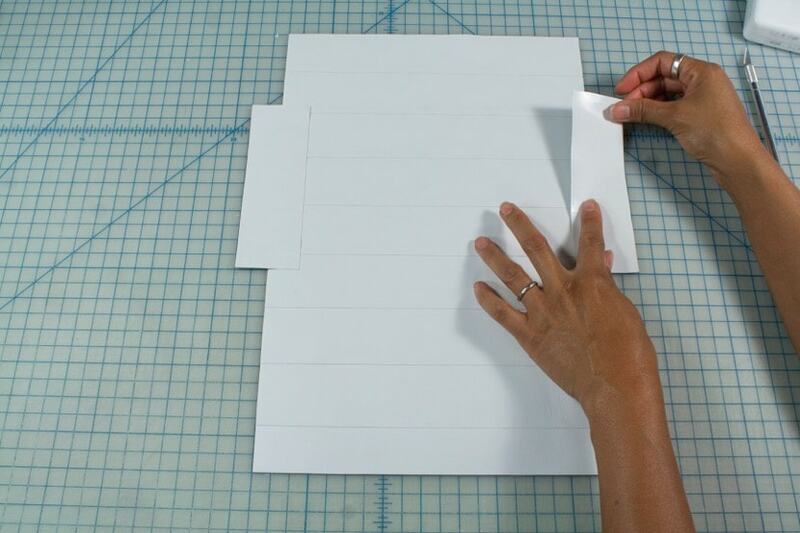 Fold the left and right edges of the strips over the rectangles, creating a pocket. 6. 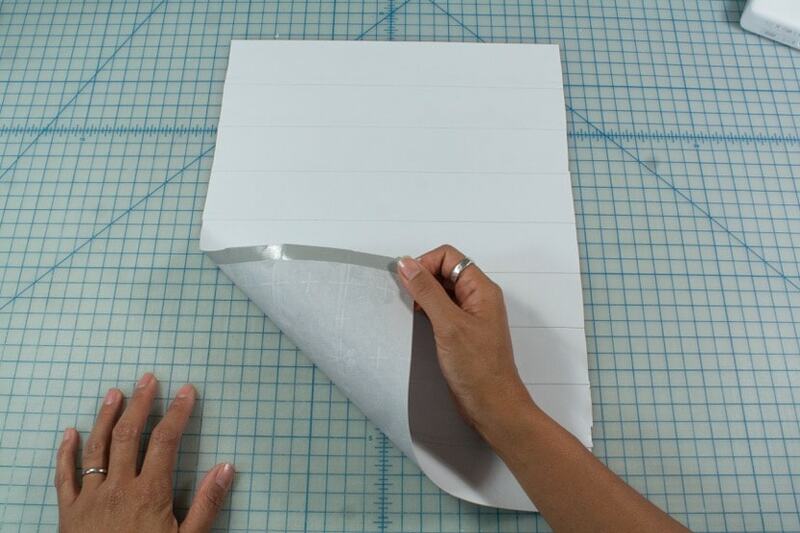 Draw 8 flower petals on the parchment paper. 7. Cover drawn petals with chevron duct tape. 8. Flip the parchment paper so the drawn petals are visible. Using a pair of well-oiled scissors, cut out the petals. 9. 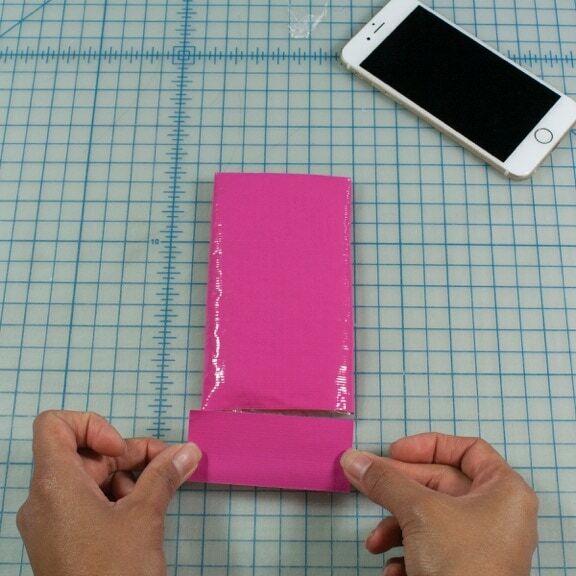 Move around the cut petals on the cell phone case until you find an acceptable position. 10. 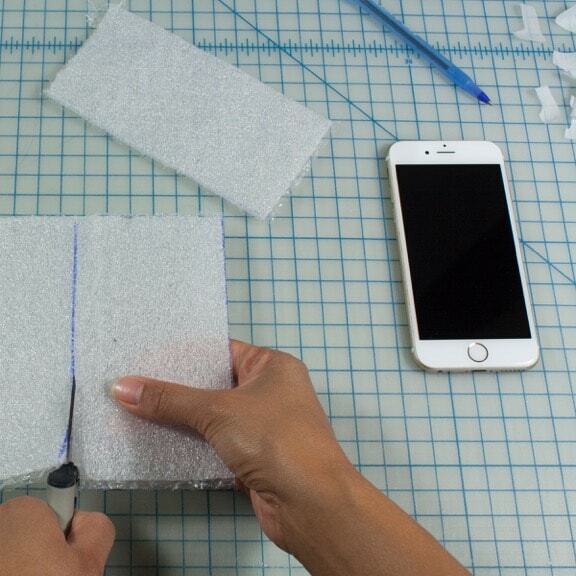 One by one, remove the parchment paper on the back of each petal and adhere it onto the cell phone case. Looks like a lot of fun. I’ve seen all the different kinds of duct tape in the store. Tons of great colors.